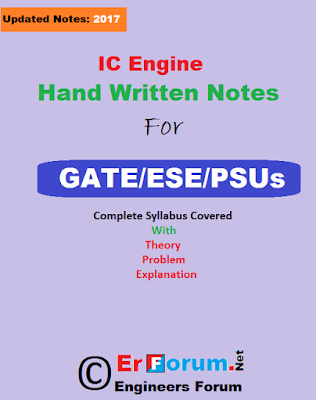 Download IC Engine well-explained Handwritten Notes For GATE / ESE -2019. 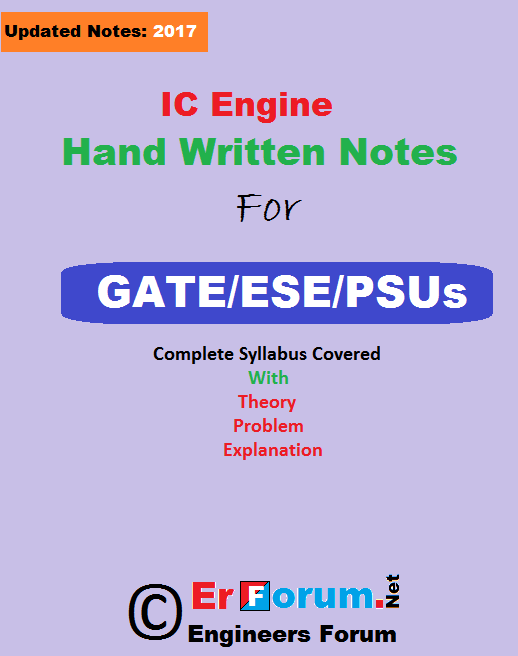 This Handwritten note contains all topics of IC Engine Paper of Mechanical Engineering as per GATE and Engineering Services Syllabus. 2. IC Engine V/s EC Engine. 6. 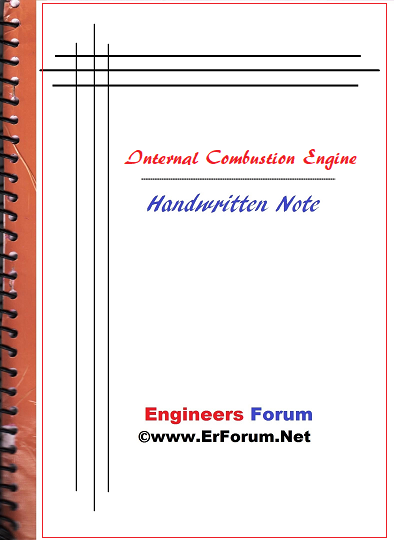 Thermodynamic terms of IC Engine. 7. Opening and Closing of valves. 8. Different Cycles of IC Engine. 9. Operation of IC Engine. 17. Difference between 2 stroke and 4 stroke engine. 18. Difference between Diesel engine and Petrol Engine.